For the 10th time, the movers and shakers of the European technology industry and startup world will meet at the infoShare Conference in Gdansk, Poland, from the 18th-20th of May. Since we’re a media partner of the event, we will be there as well. Join us for exciting lectures, workshops and panel discussions on five stages: Inspire, Tech, Startup, Workshops and Leaders. Every day, the organizers of infoShare put new names on the list – like Jeff Szczepanski the COO of Stack Overflow or Anthony le Roux the General Manager for Uber in Eastern Europe. It will be a great event focusing on the topics technology, entrepreneurship and startups. infoShare is actually one of the best places to get access to top innovative projects from the CEE startup community. 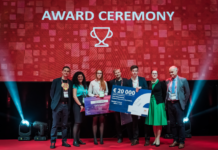 The probably most exciting part of infoShare is Startup Zone, organized by the infoShare Foundation and Gdańsk Business Incubator STARTER with the famous Startup Contest which attracted 160 young companies from Europe only in 2015. Here startups establish business contacts, gain funding and listen to the best experts. 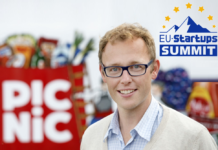 During the Startup Contest entrepreneurs will compete for the main prize – € 20K and the chance of a €1 million in investments. An international jury will judge their pitches presented at the infoShare main stage in front of 5K people. The jury includes: Jon von Tetzchner (the creator of Vivaldi and Opera web browsers), Marc Wesselink (Startupbootcamp), Pavel (Pasha) Bogdanov (Almaz Capital), Tomasz Swieboda (Inovo) and Paweł Adamowicz (the Mayor of the City of Gdańsk). Startups will also meet with investors and experts during speed dating sessions. 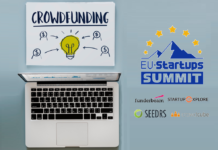 This is the unique chance to present innovative projects to representatives of top European funds. 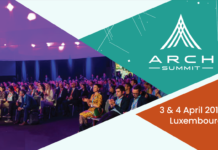 In addition, top speakers will inspire participants on the Startup Stage, for example: Joerg Rheinboldt – the CEO of Axel Springer Plug and Play who will talk about early stage startups ,or Valérie Kinoo – the founder and director of Coworking Les Galeries – a unique coworking and art space. She will speak about the significance of coworking spaces for developing startups. 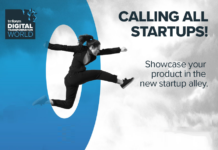 Startup Contest – Get a chance to pitch on the Main Stage and win €20,000 in cash plus up to €1 million in possible investments. Grab business contacts, money and fame! Startup EXPO – Show your project to thousands of potential clients and business partners. Speed Dating – Meet international investors and present your project on F2F meetings. Our digital network system will help arrange your schedule. 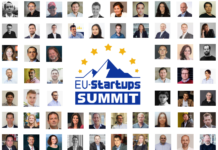 Startup Stage – Learn from the best how to build a global startup. Meet successful people and get inspired by their stories. Book your place now and join the elite of 200 best startups from the CEE region. Register for verification till April 20th to get a 50% discount for your startup ticket and the chance to meet potential investors! Since we’ll be there as well, we’re looking forward to meet as many passionate founders as possible. See you there!